Happy Wednesday! Rachel and I are back for Week 2 of bringing back the What I'm Loving Wednesday link-up. We are both trying to increase our blogging motivation and accountability so this is one way we are doing it! Join us. . . While I'm not loving the 12 trillion feet of snow that has dumped on Boston I am enjoying some of the recent winter skies. I'm loving the new spin outfit I bought at the New Balance Outlet near my house. It is bring and fun! Now if it would stop snowing so my gym could be open that would be nice! I'm loving this! Since Boston has about 6 feet of snow I'm guessing that means I'm entitled to a full case of wine! Ha! 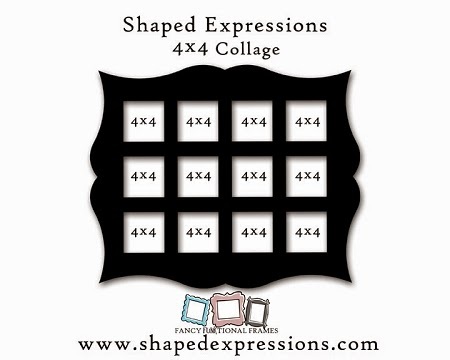 I'm loving this collage frame by Shaped Expressions. This one fits Instagram photos which would be a really fun way to display them! It also comes in 4x6 for regular sized photos. I'll have to remember this for my Christmas Wish List! I'm loving that I was motivated enough to make these cookies last night! I need a pick-me-up and these did the trick! I'll bring them to work to cheer up my co-workers. Just about everyone has had it with the snow! I'm loving that my California mini-vacation is only 15 days away! Little did I know when I booked it that we would be buried in snow and dealing with frigid temps! So looking forward to seeing the sun, sand and my SoCal friends! Ok now it is your turn. What are you loving this week? Don't forget to add our button or link back to our blogs! 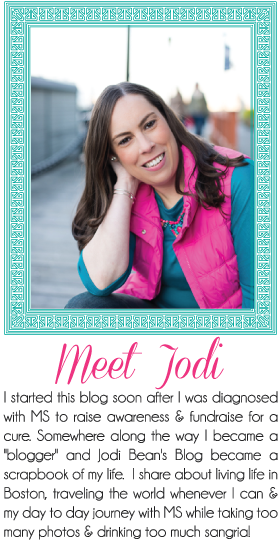 I promised I'll visit your blog and comment if you link up (I know I can keep this promise right now since I'm not expecting hundreds of people)! ha! 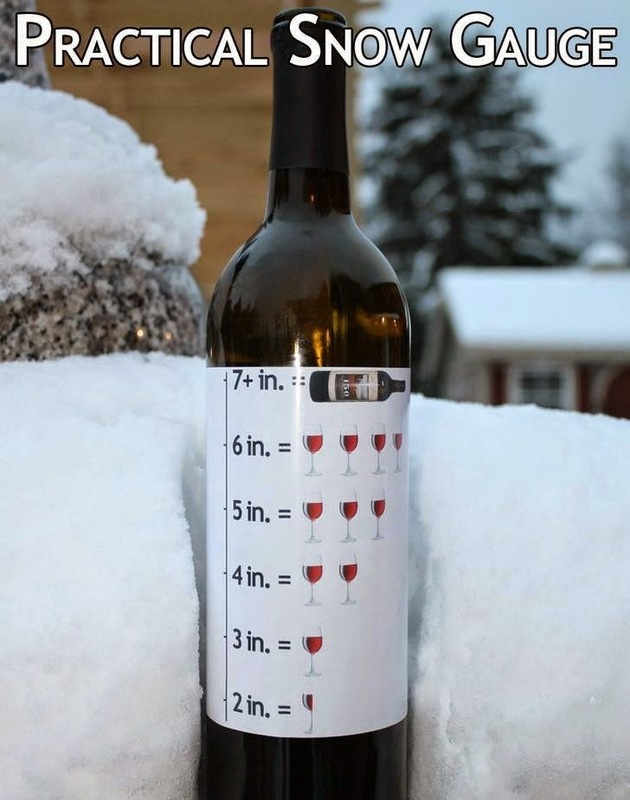 love that wine snow gauge! i'm loving that i head to FL at the end of this week! These are all great things to love. and cute spin clothes! I always love more motivation to hit the gym. I love the spin outfit! I spin at Flywheel in the Pru. Have you tried a class there? If you're interested, I'd love to take a class with you. I've got 4 classes paid for that expire March 1st that I'm trying to use before then. I so need to get to that New Balance outlet. I heard great things about it. So over the snow!! umm, can I have some cookies? please!! lol. Pretty sky pictures! I really love that collage frame. I never know what do to with my Insta pictures. I have a bunch of tiny magnets, but I don't need anymore. So cute! Love the spin shirt and wine snow gauge! We live in the same neighborhood and should totally commiserate about the snow over wine!